Set consisting of bathtub, toilet bowl with lid (wood) and cistern, washbasin and mirror. 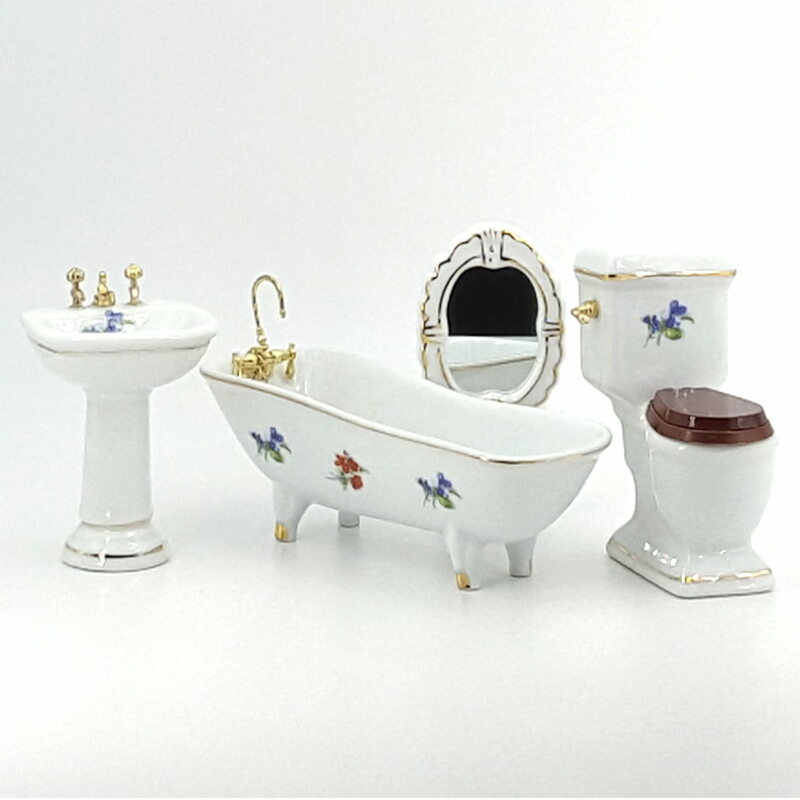 All parts made from white porcelain with decor and gold trim. Set of 5 parts, consisting of bathtub, toilet bowl with lid (wood) and cistern, toilet brush with holder, sink and mirror. All parts are made of white porcelain.